Opening hours: Smaller, privately-owned shops are mainly open from 10 a.m. to 2 p.m. and 5 p.m. to 8.30 p.m. Big department stores, larger chains and shopping centres are open from 10 a.m. to 10 p.m., Mondays to Saturdays. Shops may be closed on Sundays. Most banks are open from Monday to Friday from 8.30 a.m. to 2-2.30 p.m. Only some branches open on Saturday mornings. The ideal location of Alicante on the Mediterranean coast makes it an attractive destination for beach-lovers, golfers and outdoors enthusiasts, but the city offers so much more than fun in the sun. The old quarter is rife with beautiful architecture, from the cathedral and the cloisters to the town hall and many winding alleys, and a wealth of fascinating museums can keep even the most ambitious visitors busy for days. 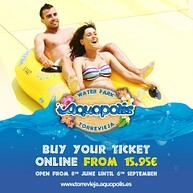 In Aquopolis Torrevieja, you will find attractions for everyone: if you want an adrenaline rush, slide down in High Emotion. Moderate are designed for lovers of fun, which will appeal to both adults and children. All children under 10 years will have fun in the Kids Zone, MiniPark and Charmed Lake. Have a relaxing time with your family in our Sand Beach or at The VIP Area. 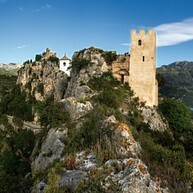 El Castell de Guadalest is one of the most beautiful villages in Spain. Having a strolling through the streets of the village is a real pleasure. San José Castle, Orduña house, the bell tower and the unusual museums will attract your attention. If you like walking in the mountains, El Castell de Guadalest is the perfect place to be in contact with nature and if you are a gastronomy lover, our restaurants offer a combination of traditional dishes and the latest innovations. The objects and text explanations displayed in the different rooms intend to show visitors the historical and social context that surrounded the construction and use of these bombshelters in Alicante during the Spanish Civil War (1936-1939). 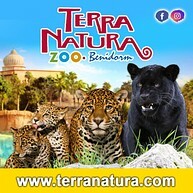 Terra Natura Benidorm is a nature and animal park which has more than 1,500 animals of 200 different species ( 50 of them are in danger of extinction). Its surface is divided into four areas representing the continents of America, Asia and Europe, and the area of Pangea, inspired by the origin of the Earth. The tour through its facilities makes visitors immerse themselves in the concept of zooimmersion and otherness. A visit to Tabarca island is an absolute must for visitors. Boats from the company Kontiki depart from the marina in Alicante several times a day. The journey takes around one hour from Alicante. The route will give you the opportunity to enjoy the coastline. Try one of the traditional fish stews on the terrace of one of the restaurants. Also, you will find nice little bays to swim. If you decide to stay overnight on the island, there are also little hotels peppered along it. This maritime promenade runs parallel to the port, from the Puerta del Mar to Canalejas Park and is one of the most popular areas in Alicante. La Explanada de España is also known as the “Paseo de la Explanada”. The floor is decorated with 6.600.000 tricolour marble tiles forming a design with a carachteristic wave effect mosaic. Visitors and locals alike can enjoy these areas at any time of the year, thanks to the pleasant climate. Contemporary Art Museum “MACA”, housed in the city’s oldest surviving civil building. In the baroque style, it dates back to 1685 and is located next to the Santa María basilica. The museum has recently been re-opened after a year of an extension work in order to improve and enlarge its facilities in 4.700 m2, with the aim to house an important collection of 20th century art mostly comprised of works donated by Eusebio Sempere. Many different types of events also take place in this Museum. This building contains some modernist features and was built between 1911 and 1912. 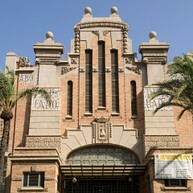 The front of the building was designed by Enrique Sánchez Sedeño and on 25th May 1938, it was hit during the worst bombing suffered by the city of Alicante during the Spanish Civil War. All kinds of high-quality products can be bought at the Market, especially local fish and seafood, vegetables and fruit, as well as other typical local products. Back in the old town quarter, we recommend a route that includes a visit to the San Nicholas Co-cathedral dating from the 17th-century. The cloisters, however, are from the 15th-century (Herrerian Renaissance style). The Town Hall building is an 18th-century Baroque building. The Santa María Basilica, a gothic structure based on the mosque from the ancient town, dates from the 14th- and 16th-centuries and was completed with Baroque and Rococo finishes in the 18th-century. 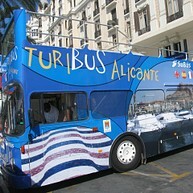 For those who want to have a general idea of Alicante, or for those with less time, Alicante offers a special service—the TuriBús—a bus through the city with 10 interesting stops for holidaymakers. 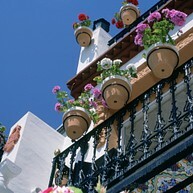 The sights and sites are explained in Spanish,Valencian, English, French, German and Italian. It is also enabled with an access platform for the disabled. The Turibús usually operates between March and December. Alicante has a wide variety of beaches, from fine sand to rocky ones. Most of them are proud to hold the Blue Flag award. El Postiguet is the Alicante beach par excellence! Located in the very heart of the city. It’s a long sandy beach and is close to all types of services. The San Juan beach is the most famous beach, not only because it is the longest, but also because of the quality and cleanliness of its waters. 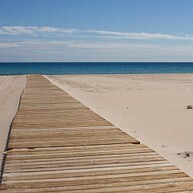 Enjoy the sun and the sea, relaxing in the warm sand of one of Alicante beaches. This museum (Museo de Fogueres) is dedicated to the most popular “fiesta” in Alicante and shows the "ninots," or wooden statues that have been "saved" - i.e., not burned every year - in a video room showing the best of this "fiesta", photographs, costumes, etc. This museum is especially nice for families with children! Created in 1932, this museum was originally located on the ground floor of the Provincial Council building on Avenida de la Estación in Alicante. 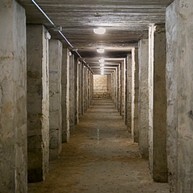 In 2002 it was transferred to the former site of the San Juan de Dios Provincial Hospital. 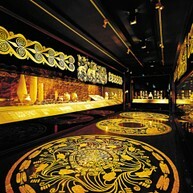 Visitors to this highly innovative and visual museum can enjoy an avant-garde approach to archaeology supported by modern audiovisual techniques. Its exhibits stretch from the Palaeolithic through to Contemporary Modern Culture, tracing our history. This museum occupies the 18th century Gravina Palace, which once belonged to the Count of Lumiares and housed the Provincial Archives. 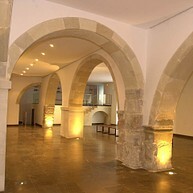 It exhibits works owned by the Provincial Council of Alicante, with collections comprising works of art created in Alicante from the Middle Ages to the early 20th century.